Construction Wholesale is a division of Celplas PVC Ltd. Walk into our trade counter and you’ll discover an Aladdin’s cave of quality products to help you get the job done right. From standard external products such as fascias, soffits and guttering to smarten the appearance of any building, through to stylish decorative mouldings and trim to give the interior a distinctive look and feel, you’ll find it all at Celplas – and we stock products from all the major suppliers. 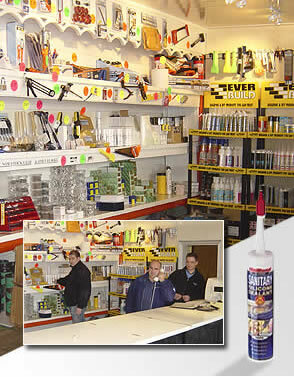 We even carry the sundry items such as silicone, foam and fittings – so we really are you’re one-stop plastics shop. Our fifteen years’ experience and helpful, friendly team ensure that every visit is a pleasure and gives you the service and merchandise you need to get on with the job quickly and efficiently. And to enhance our service more, you’ll find our FREE delivery service* is right up your street!